Lauria doesn’t think in terms of genre’s, and that comes from having sung a fusion of Pop to Reggae in the band NewDayz. Her current single makes you wonder where she’s been and that is where her crossover appeal is found. 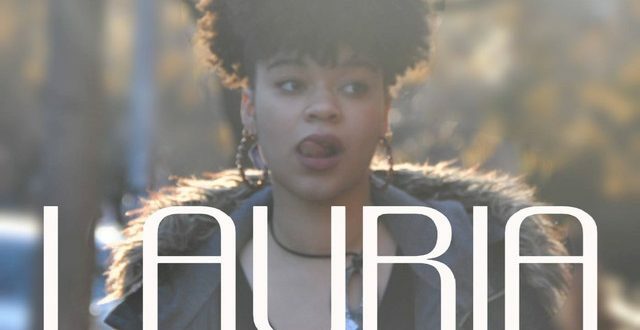 But it is where Lauria is headed that matters, and with her single “Losing Me” she makes a huge debut stride toward un categorization within the framework of Pop and Soul music. The track simply makes you forget about those stereotypes and allows you to just enjoy her voice, the music and the message of the song which contains the right amount of variety to speak its own volumes. Also known as Florie-Laure “Lauria” Zadigue Dubé, she grew up in a musical environment with her uncle’s studio often frequented by local artists which made her long to be a singer when she was raised in Montreal (now managed by her uncle). Those times rubbed off on here well, which is evident on every note of “Losing You” with its epic balladeering approach. We’re talking lyrics here that get inside your head and stay there, with a hypnotic beat that gives it positive energy for a generally-slow number. It’s the sort of thing that has everlasting qualities to spare, for which it comes substantially recommended. This is an artist with no compromising words to describe where her heart is, and it’s done so eloquently you barely notice it. But getting through is the main idea and that’s just her being for real about the message of the song. It’s about deserving better and not taking the craziness that comes with any distancing relationship and the drama attachment they can be hurt by. Lauria breaks down the walls with such thought provoking lyrics that you’re moved by that alone, and the rest is a piece of cake to enjoy, as painful as they can sound. The tonal quality of her voice cuts through the arrangement like magic as well. The arrangement itself sticks to a baritone string dominated backing track with a lot of subtle but present bells and whistles added for texture without playing an up-front role in the song. The market these days is global, but as a Canadian artist it’s refreshing to hear such a contemporary because it doesn’t come around every day. Music is for the world, so it should be that way, but it’s a divided world too, and Laurie crosses all boundaries with an honest and forthright song that will resonate with anyone who hears it. Rest assured that much and a bright future for this gifted artist. The consensus is that she is excellent and so is “Losing Me” for all it’s worth, and that gives hope for more where this came from. There is no question the future is bright for any singer of this caliber just breaking out, so she’s worth keeping an ear to the ground for and anticipating more greatness along the lines of this single of which a lyric video can also be seen, which helps put it into some more perspective by following the words to this incredibly soothing ballad.